Hugo Fitzduane is a travelling photo-journalist. Putting him in as such, however, confuses the issue for, while Fitzduane does spend his time as a photo-journalist, his actions in the three-book series have little to do with his current profession and much to do with his reactions to events around him. For many years, Fitzduane had been a member of a small but elite group of Irish Rangers, the best trained soldiers that island nation had to offer. When Ireland supplied contingents of this cadre as part of their UN obligations, Fitzduane saw considerable action in remote parts of the world. Of particular importance was as a peace keeper in the Congo during the mid 60's where he met and fell in love with a nurse only to see her killed by rebels. After he had exacted as much revenge as he could stomach, and more than he cared to remember, he quit the Special Forces and took up photography. Even then, however, his adventurous nature couldn't keep him out of trouble as he moved from one trouble spot to another, especially in Vietnam where his actions garnered him a fair number of friends and a few enemies. Fitzduane need not have spent his life as he chose. He could have opted for a much easier existance for he was born into considerable wealth. This included owning his own small island just off the western coast, connected to the mainland by a bridge. On this island he lived in a renovated castle, a family holding for generations. It is on this island that events unfold that bring him back into the world of international strife. He certainly didn't seek the trouble but once it happened, he found himself unable to back away. All this is told in the first book. The remaining two books show that one's actions have consequences. Having been a soldier and having seen action as such and as a journalist, Hugo Fitzduane is no stranger to violence. He is quite capable of returning it when forced but he is also blessed with a conscience. He takes his actions seriously, doesn't jump into trouble willfully, and doesn't back down when he knows he's right. While he does not work for any Intelligence agency, his contacts over the years have given him a good number of friends upon whom to call. As time goes in the series, his expertise in terrorism moves him to interesting places. 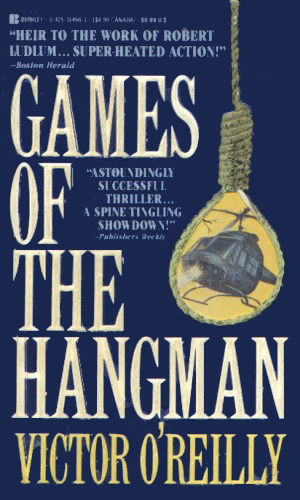 Hugo Fitzduane is exploring Ireland when he comes upon a young Swiss student hanging from a tree. Determined to find the why for the murder, he ends up in Switzerland where an assassin is unleashing a plan with high death count. A group of Japanese assassins is out for revenge against Hugo Fitzduane and almost succeed in an attack in Ireland. He takes the fight back to them in Tokyo to see who wants him dead. Using his counter-terrorism skills in America, Hugo Fitzduane is reluctant to get involved in the affairs of a breakaway Mexican province, even though they have a weapon that can kill in huge numbers. When an old enemy takes control of the weapon, he must act. This series cries out for more adventures. 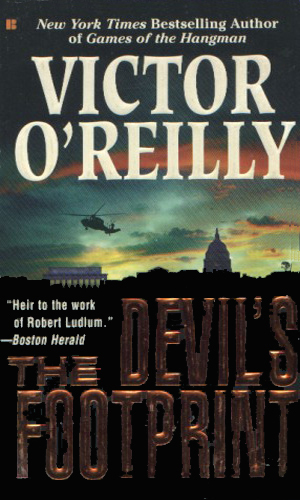 The writing style Mr. O'Reilly brings to the books is refreshingly brisk and engaging. It makes reading his books fun, easy, and compelling. Pretty much what you want in a good yarn. Fitzduane is a character who is tired of violence and who has the luxury of retreating to his private island to get away from it, except it doesn't stay away and how Fitzduane handles the intrusion and the danger to himself and his family and friends makes for a compelling series. 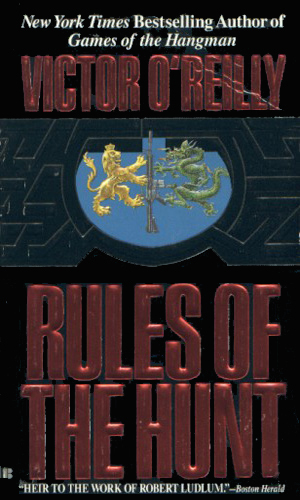 The first book did not feel at all like a series. It told a complete tale and ended dramatically but firmly. I, for one, was concerned that the ending might be lessened with the coming of the second book, as in "but wait! The bad guy isn't really dead!" I am sorry, Mr. O'Reilly, for doubting you. The return of Fitzduane to action is not only dramatic and exciting, it made sense.